This wasn’t your ordinary game of hide and seek. This was intense — it was do or die. Three-year-old Jenna Bradburn was ducking, dodging and diving away from her older brother. He had won one game, she had won one game and this was the tiebreaker. Winner takes all. “Ten, nine, eight,” was all she could hear while running away. She was going to hide in the one place where he would never think to look for her: his own bedroom. She grinned as she snuggled her way under the covers of the bottom bunk of her brother's bed. As she snuggled herself deeper and deeper into the depths of the covers she felt something soft and fuzzy touch her arm. It was her brothers stuffed animal named Dawg. “Ready or not, here I come,” her brother yelled. Not wanting to make one sound, she was confused as to why such a cute stuffed animal would be all alone in a bed that no one slept in. In one quick movement, the covers were pulled away from her. She had lost, but the loss of a hide and seek game seemed irrelevant in comparison to the gain of a furry best friend. However, she didn’t think the name Dawg would do. From then on, Lucy and Bradburn were inseparable. Everywhere Bradburn went, so did Lucy. Sixteen years later, 20-year-old Bradburn still sleeps with the stuffed dog. The term “transitional object,” was coined by British psychologist and pediatrician Donal Winnicott. By definition, a transitional object is one that brings comfort to its owner. So, how common is it for students to bring transitional objects such as stuffed animals with them to college? During an informational study conducted by former University of Michigan professor of psychology and organizational studies Christopher Peterson, about 250 students in his auditorium style lecture class raised their hand when asked if they still slept with a stuffed animal. One of the reasons why Bradburn still sleeps with a stuffed animal is that it gives her a sense of safety now that she faces a new environment at college. Child clinical psychologist Stanley Goldstein says that transitional objects as giving young adults the feeling of comfort. “It gives them safety in an environment that is unfamiliar. We still have fears, and whatever helps us face these fears, it’s okay,” Goldstein said. It was Appalachian State University student Hannah Hill’s need to feel safety and comfort after the recent death of her grandfather that made her feel grateful that she still sleeps with a stuffed animal. Nostalgia has also proven to be a key factor that keeps college students sleeping with stuffed animals. “Most Americans, 78 percent, keep items that continue to bring back nostalgic memories,” according to a joint survey done by OnPoll and Life Store with 2,000 American adults. Laken Steelman, another Appalachian State University student, says that the reason why she still sleeps with her stuffed animal Zachary is that it reminds her of her boyfriend, whose name is also Zachary. 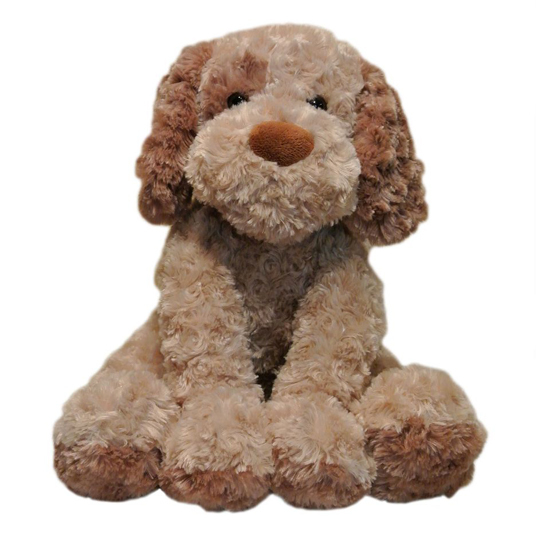 Steelman received her stuffed animal as a Valentine's Day gift eight years ago from her boyfriend. Bradburn can also attest to this feeling of sentimentality in the way that Lucy reminds her of home. Finally, another reason why college students might still sleep with stuffed animals is because it relieves stress and may help counteract depression. 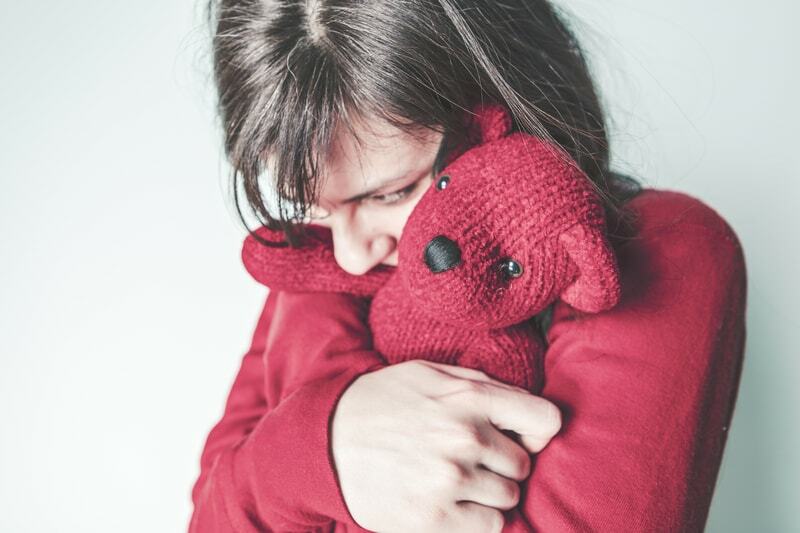 A study done at UV University of Amsterdam, linking touching stuffed animals with relieving symptoms of depression found that “even touching an inanimate object — such as a teddy bear — can soothe existential fears. Interpersonal touch is such a powerful mechanism that even objects that simulate touch by another person may help to instill in people a sense of existential significance,” said Sander Koole, the lead researcher of the study. Bradburn says that she hugs her stuffed animal whenever she is feeling sad. Bradburn reminisces about a time that she was stressed out because of school. “I was thinking about changing my major and I was really stressed out, but when I hugged Lucy it made me think about what my family would say and it made me feel better," she said. Three hundred and fifty million people worldwide suffer from depression, according to the World Health Organization. In 2015, Appalachian State University lost three of its students to suicide. With final exams approaching and students stress levels rising, it is important for students to find methods that help relieve that stress. Stuffed animals or other transitional objects could be the key. “I sleep with my stuffed animal a lot to begin with, but I noticed that when I'm stressed, especially during exam time, I tend to want my stuffed animal around me more. It’s comforting and it helps me feel calmer,” Hill said. Bradburn said that students shouldn’t feel ashamed if they still do sleep with stuffed animals. “College is a tough time, and if you find a way or find something to make those tough times more tolerable then do it,” Bradburn said. I am currently a Public Relations and Journalism major at Appalachian State University, with a minor in psychology. I pride myself on my Colombian heritage, which has not only offered me a unique outlook on life but has allowed me to be fluent in English and Spanish. I am a member of my school’s Competitive Club Cheer team, as well as a member of the sorority, Chi Omega. In Chi Omega, I hold the position of National Philanthropy Chair. In that position, I am in charge of planning and implementing creative ways to raise money for the Make-A-Wish Foundation. Two of my passions in life include writing and helping others, both of which I hope to include in my future career.